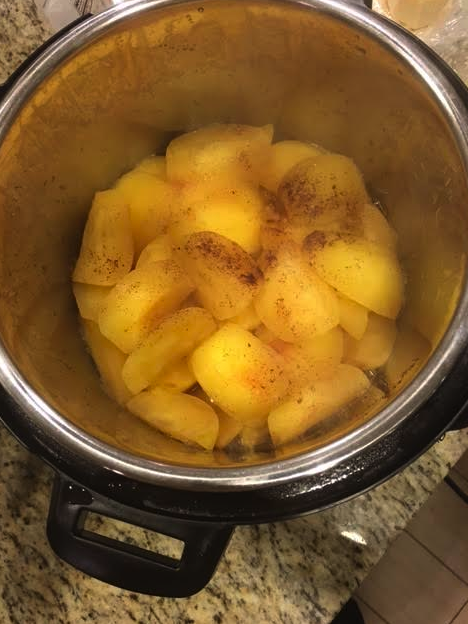 I didn’t know how easy it was to make homemade Pressure Cooker Applesauce until I decided to try it in my Instant Pot. 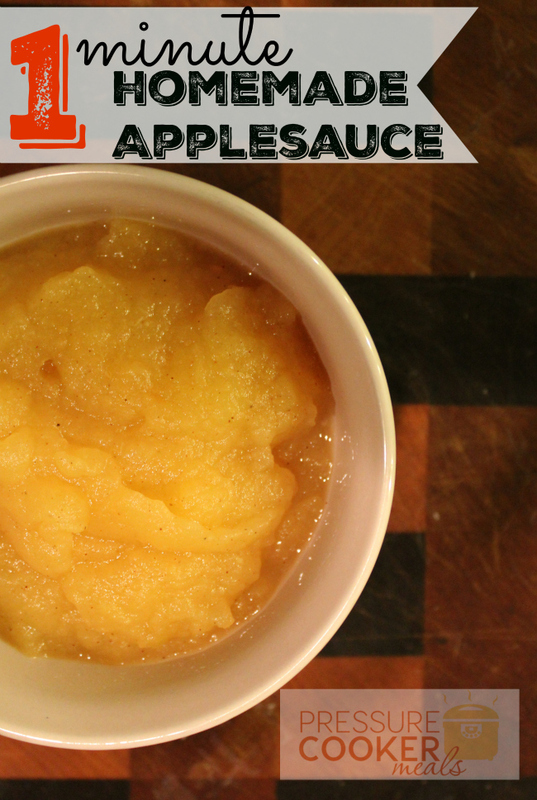 I’m telling you, once you make your own One Minute Pressure Cooker Applesauce, you will never want to buy it at the grocery store ever again! I have also been using this to trick my brain into getting rid of sugar altogether. We use Braeburn apples and they taste so sweet! We don’t add any sweetener to this recipe, but if you’d like it a little sweeter, try honey or Stevia. 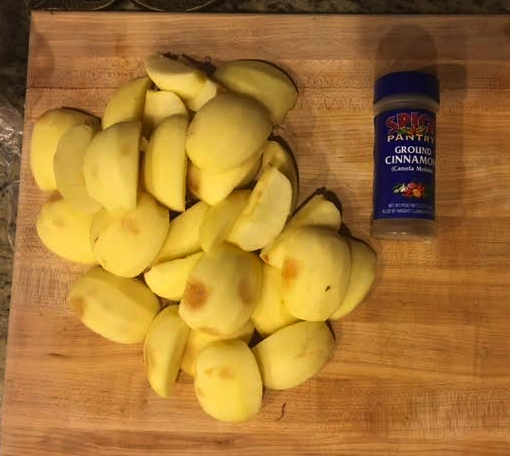 You can use as many apples as you want. I usually do 6-7 at a time, and that gives me about a quart of applesauce once it is cooked. Peel, core, and cut the apples into fours. Put everything into the pot and top with ground cinnamon (to taste). If you want to add a sweetener, use honey (1 tablespoon) or Stevia. 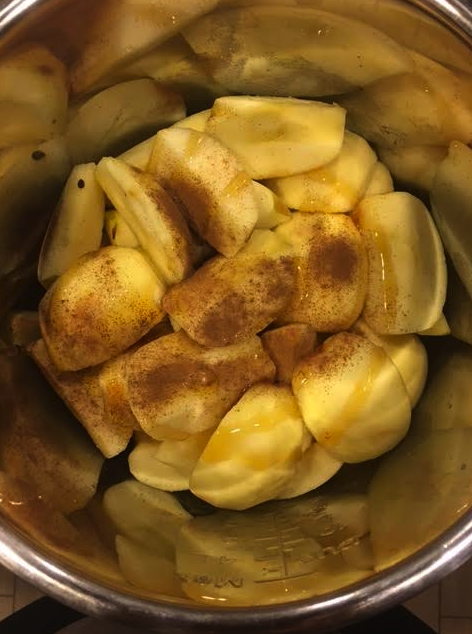 Cook the apples on high pressure for 1 minute. If you are new to the Instant Pot, press the “manual” button then take the time down to 1 minute by using the “-” button. The Instant Pot will begin building pressure once you stop pressing any buttons. The apples should be nice and soft. This makes an immersion blender go through them easily. Blend until you reach your desired texture. 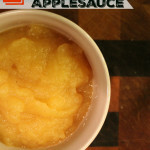 This One Minute Pressure Cooker Applesauce is the easiest thing you’ll ever make and you’ll never want to buy applesauce again! Close Instant Pot lid and set to manual high pressure for 1 minute. Be sure the steam vent is sealed. 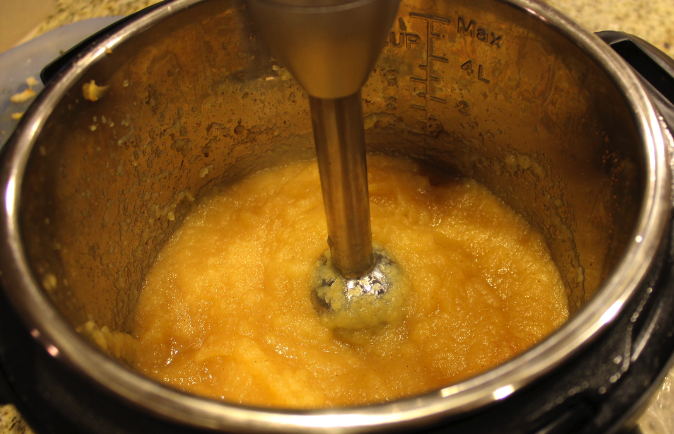 Use Quick Release then use an Immersion blender (or pour into your food processor) to process the apples to a smooth consistency. Yields about 1 quart of applesauce.